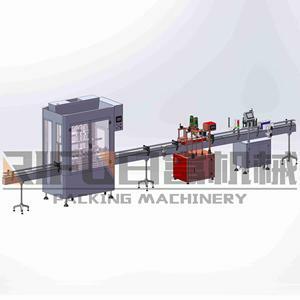 Automatic capping machine Mainly use for cap sealing after filling,can be use separately,or inline use. If container is too tigher,we will use pe film for packing or pack it according to customers special request. If container is too tigher,we will use pe film for packing or pack it according to customers special request. 10 YRS Guangzhou Yuxiang Light Industry Machinery & Equipment Co., Ltd.
10 YRS Zhangjiagang City Yufeng Beverage Machinery Co., Ltd. Adopt imported electricity, pneumatic control components, stable performance. 3). 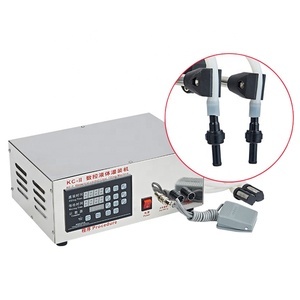 Photoelectric detection system using the German products, reliable quality. 4). Leading anti-drip device, to ensure no leakage phenomenon during the production process. 5). 8 YRS Zhangjiagang Sunswell Machinery Co., Ltd.
2 YRS Zhejiang Lianyuan Machinery Co., Ltd. 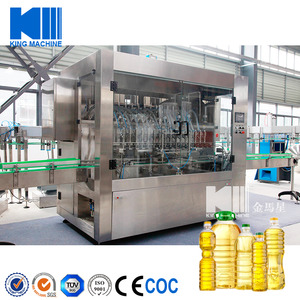 Integrated Can Oil Automatic Filling Line , 2 In 1 Edible Oil Filler used in beverage production plant. 2 YRS Zhangjiagang King Machine Manufacture Co., Ltd.
3 YRS Shanghai Leto Packaging Equipment Co., Ltd. The machine is easy to clean and operate , comforming to GMP standars . This machine is controlled by the hand ,easy to operate ,and made of stainless steel. The part contacting materials is made of 316L stainless steel. 1 YRS Shanghai Ruixiao Packing Science And Technology Co., Ltd.
2 YRS Brightwin Packaging Machinery (Shanghai) Co., Ltd.
video links: bottled argan oil fillers/olive oil filling capping machine/edible oil bottling machine with VIDEO DETAILS program bottled argan oil fillers/olive oil filling capping machine/edible oil bottling machine Filling head 2, 4, 6, 8, 10, 12, 16 etc(optional according to speed) Filling volume 10-5000ml etc(customized) Filling speed 500-6000bph(customized) Filling precision &le;&plusmn;1% Power supply 380V/220V etc(customized) 50/60HZ Power supply &le;1.5kw Air pressure 0.6-0.8MPa Net weight 400kg 1. Electronic and pneumatic routs are protected by a control box ( to keep them from humidity and short circuit caused by water from cool air) 2. Equipped with security door and protection cover, 3 color alarm lamp ( Safe design, intelligent alarm ) 3. Poly carbonate for protection cover ( transparent , pressure bearing , and can be cleaned by alcohol ) 4. Equipped with no &ndash;drip nozzles and plate to collect the dripping liquid ( avoid dripping liquid polluting the containers ) 5. Equipped with horizontal position bottle blocker ( to keep the nozzles accurately aim at the bottle neck ) 6. 304 frame, parts touching product is made of USU316L, manufactured by Taiwan producer 7. Widely used for edible oil, olive oil, lube oil and engine oil etc various liquid products. 3 YRS Zhangjiagang City FILLPACK Machinery Co., Ltd.
9 YRS Guangzhou Shaofeng Mechanical Device Co., Ltd. 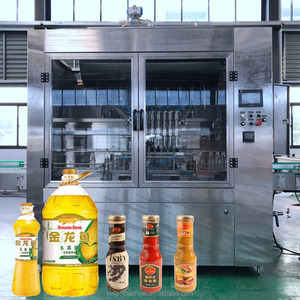 Edible Oil Filler / jam filling machine Brief Introductio n : Semi auto pneumatic honey filling machine is suitable for filling liquid and high thick product. Specification: 1. 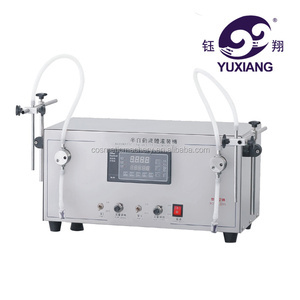 Pneumatic type,use air compressor 2. filling volume adjustable and controllable 3. The speed is around 35 bottles/min. Also depend on worker working speed 4. It owns manual and auto function 5. Easy to take apart and clean 6. It seals very good by sealing ring. 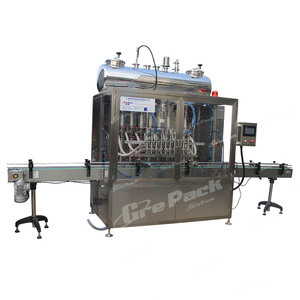 &lt;2&gt;This machine with high automatization,adjust convenient,when change bottle size or replacing the filling volume,only need to change the parameters in the touch screen. &lt;2&gt;It can be matched with conveying bottle machine, filling machine and other equipments together, also can be used in conveying bottle machine stand-alone. 3.Flat conveyor &lt;1&gt;Flat conveyor is the main connection between filling machine and each secondary packaging machines, the conveyor with drain water collect plate and cable bridge. 2 YRS Zhangjiagang Bestec Machinery Co., Ltd.
5.It has applied imported pneumatic control parts. 6.It has applied German technique on photoelectric sensors. 7.National patented double speed technique has greatly increased production efficiency. 3. 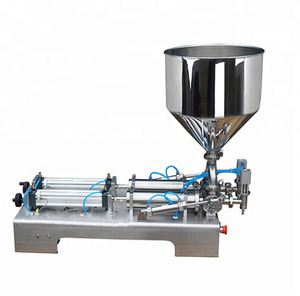 The oil filling machine has the overall structure simple, small footprint, easy operation advantages. 3.one year warranty for oil filling machine,technician available to service at any time. 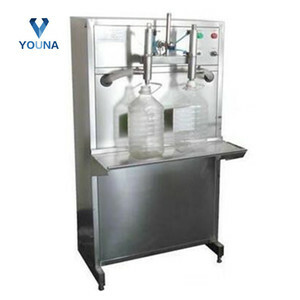 is a professional manufacturer of filling machine with well-equipped testing facilities and strong technical force. Alibaba.com offers 5,584 edible oil filler products. About 78% of these are filling machines. A wide variety of edible oil filler options are available to you, such as beverage, food, and apparel. You can also choose from bags, bottles, and cans. As well as from glass, plastic, and paper. 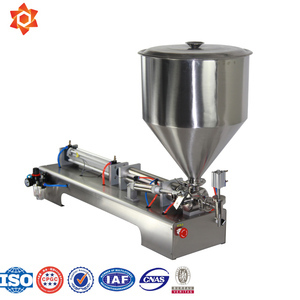 And whether edible oil filler is automatic, or semi-automatic. There are 5,584 edible oil filler suppliers, mainly located in Asia. The top supplying country is China (Mainland), which supply 100% of edible oil filler respectively. Edible oil filler products are most popular in Domestic Market, Africa, and Southeast Asia. You can ensure product safety by selecting from certified suppliers, including 2,430 with ISO9001, 918 with Other, and 28 with ISO14001 certification.